When homeowners are in need of a quality tree service contractor in Morris County NJ for tree removal or tree cutting, it may be hard to be sure who to trust. Along with providing the best quality work they can, attentive customer service is something else you should look for from a local tree service. Hiring a tree service that’s local means they’ll be able to better supply you with 24-hour emergency tree service and they’re going to be invested in keeping a solid reputation in the local area. If you need a quality tree service company in Morris County NJ, Landmarq Tree Service, is available to help. When you need a tree service in Morris County NJ, it’s always in your best interest to hire a contractor that can handle all your tree service requirements and has a reputation for being dependable. When it comes to the safety of your home and family, you don’t want to take any chances. Contact Landmarq Tree Service to get an estimate that’s accurate with no unpleasant surprises along the way. We do our best to maintain our low tree removal cost so we can better serve homeowners in the local community. For more than twenty years, Landmarq Tree Service has been one of the most highly recommended contractors for tree service in Morris County NJ. In order to show our thanks to our clientele, we are always challenging ourselves take our dedication to total customer satisfaction to new standards of excellence. For instance, we provide emergency tree removal in Morris County NJ twenty-four hours a day so homeowners don’t have to be concerned about damaged trees falling on their property. Also, we’re constantly looking for strategies to decrease your tree removal cost. It’s essential for your security to employ a trusted tree service in Morris County NJ in addition to being a matter of convenience. A recent review of media reports of homeowner tree accidents in 2013 was conducted by the Tree Care Industry Association. 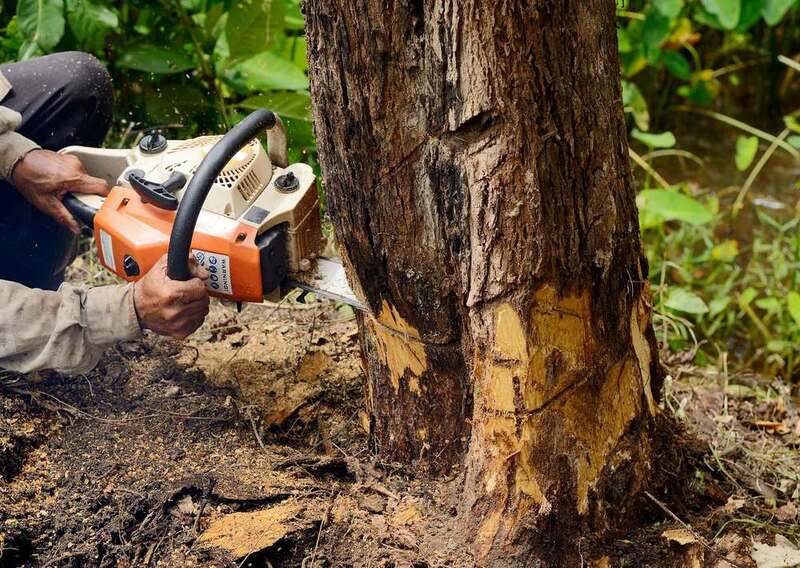 45 tree removal or tree cutting accidents were discovered, and 28 percent of these were fatal. Most homeowners see a professional contractor for tree service in Morris County NJ doing tree removal or cutting work and it think it’s relatively easy. Though the intent is to keep their tree removal cost to a minimum, they soon find that the job isn’t as simple as they initially thought it was. Before tree cutting, a contractor for tree removal in Morris County NJ will assess the condition of the tree, which will permit the tree service professional to determine which way the tree limb or entire tree will fall. This assessment determines the weight distribution of the tree. 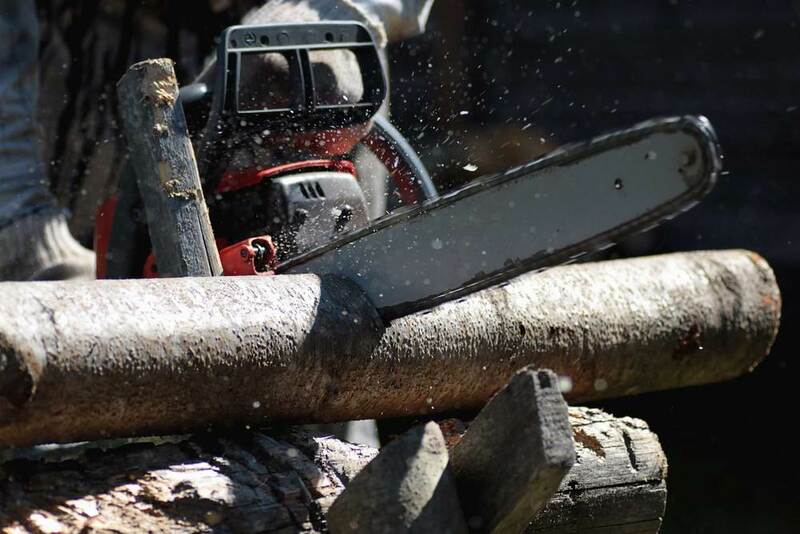 Because defects inside the tree limb or trunk will not be readily noticeable, homeowners often are surprised when a large limb falls when they’re doing their own tree cutting. This is a miscalculation which frequently results in injury when a tree limb falls and hits the ladder. Now money has to be spent on medical treatment instead of saving on their tree removal cost. Undoubtedly, hiring a specialist tree service in Morris County NJ is the safest alternative. When facing a safety issue such as hazard trees, it is vital that you contact a professional company for tree service in Morris County NJ . The danger of a big limb falling on your house or family member considerably increases when disease, storm damage, insect infestation or rot weaken the limbs or trunk of a tree. Also, it is typically difficult to discover the extent of the damage to the tree’s internal structure, which will make tree cutting or tree removal even more dangerous. 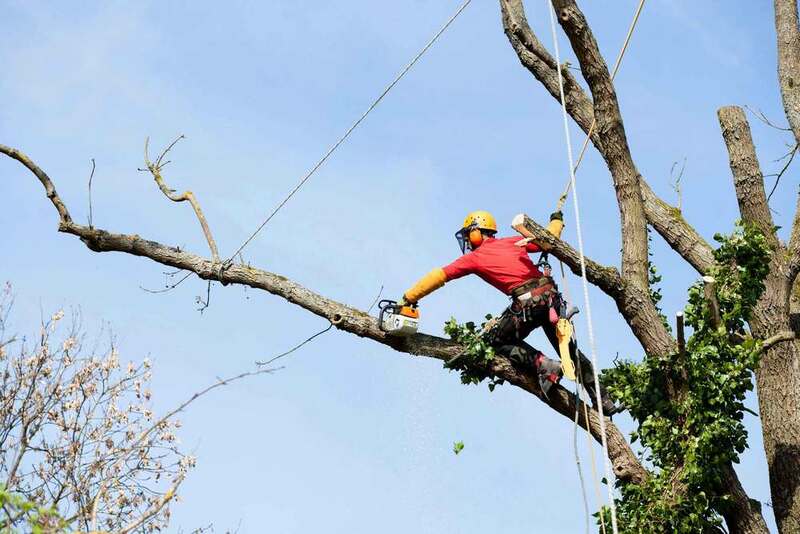 At Landmarq Tree service, we want to encourage homeowners to benefit from an experienced tree service company in Morris County NJ to handle hazard tree cutting and tree removal so they don’t risk injury to themselves. This is the reason we provide 24/7 emergency tree removal . To reduce your need for our tree removal service, Landmarq Tree Service is a tree service in Morris County NJ that provides preventive tree cutting. When you hire Landmarq Tree Service for regular tree trimming and pruning services, you will discover that you trees look fuller and healthier than they were prior to taking advantage of our services. In the event you are unsure about just how to best care for your trees, our pros at Landmarq Tree Service conduct complementary tree evaluations. Depending on the outcome of our expert assessment, we’ll provide you with an extensive tree maintenance plan complete with an estimate of your anticipated tree cutting and tree removal cost. By taking advantage of our competitively priced tree service in Morris County NJ, you’ll avoid expensive tree removal costs in the years ahead. During the past 20 years, our staff at Landmarq Tree Service has invested a large amount of effort in gaining the trust of homeowners who need a tree service in Morris County NJ . When our team arrives at your house at the time you specified, they’re going to work efficiently and cleanly. Our experts are more than pleased to answer any questions which you might have regarding our tree removal and tree cutting work. Our strong reputation as a contractor for tree removal in Morris County NJ rests upon our ability to offer reliable professional tree cutting and removal services at a time which is suitable for you, as well as at a price that you can afford. Call Landmarq Tree Service now at (973) 287-4826 to arrange a time to receive a free tree service consultation.